I'm very pleased to present this week's interview with Linda Gaylard. Many of you may recognize her from her work as The Tea Stylist. 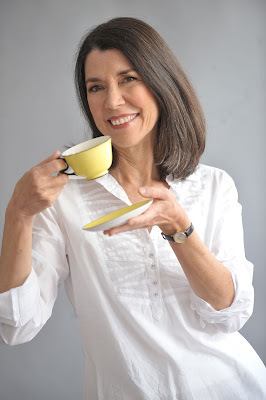 Linda is a certified Tea Sommelier, and has written The Tea Book, which was definitely one of my favorite tea reads this year. It's a comprehensive book about tea with recipes, history, terroir, and processing of tea. I love the layout and of course the style of the book! In her beautifully expressed interview you'll learn about everything from childhood walks in the woods, to tea travels on a Korean mountainside. When did you first discover your love for tea? I’ve been drinking tea for many decades. The first time I experienced real tea culture was on an early trip to the UK. I visited “tea rooms” which were basically restaurants, but with more warmth. A feeling of comfort and community could be found in these establishments – a little like a pub for tea. I thought we should have places like this in North America. I bought the best tea I could find (not much of a selection at the time). Time passed, I had a family and career. Tea was enjoyed occasionally throughout our busy lives. Jump ahead a few decades and an opportunity arose to study tea through the Culinary Arts program at a local college. I signed on and devoted myself completely. That's when the love really started! I’m amazed at how your book tackles many different topics in an efficient manner. How did you organize your thoughts for such a comprehensive book? The first thing my editor and I did was to create the contents outline. I wanted to start with ‘the plant’ as this is really where the tea journey begins. From there I explain terroir, gardens and processing. Once the reader understands the plant and its characteristics it is easier to understand how to prepare and appreciate it. The rest of the book progresses from there with information on prep, then onto history, regions, customs and recipes. It seemed to have an organic flow. In the book you have quite a few pages on tisanes for wellness. How did you learn so much about the healing properties of herbs? 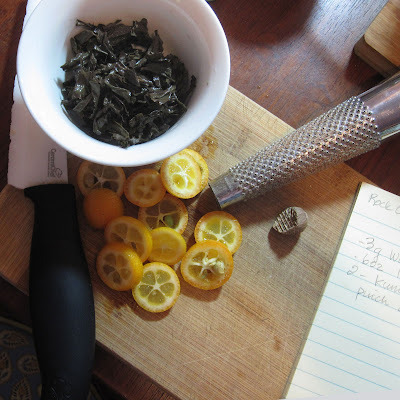 Do you have any personal favorite herbal blends? When I was a child, my mother introduced me to edible plants as we walked through the woods. I think her generation possessed quite a bit of folk knowledge, which is being rediscovered. I became interested in herbal remedies and built a small library on the topic. I drank far more herbal infusions at that time than Camellia sinensis. When I learned that the editor wanted a chapter on tisanes, I initially thought, “herbals aren’t tea”, but then I realized that tisanes are becoming a large part of a tea vendor’s business. I became quite reinvigorated to get out my herbal library and revisit this subject. While staying in a log cabin a few years ago, I blended a “Northern Blend” which is on my website. I made it with wild herbs and edible berries that I found on my hikes. It contains wintergreen, juniper, cranberry, etc. Every time I drink it I’m reminded of the beauty of the northern forests. You’ve had very some interesting tea travels. Can you share one of your most memorable tea travel moments? 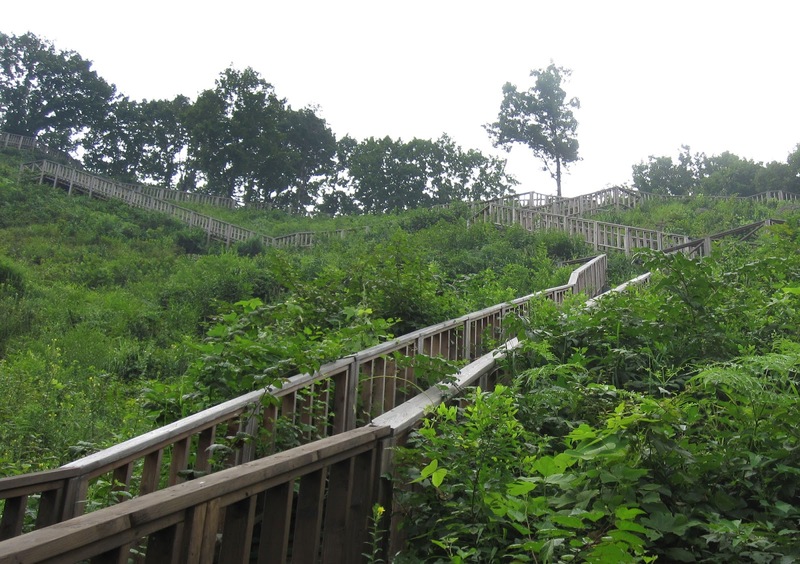 There have been quite a few good moments – here’s one that stands out: Climbing 600 meters of steps on the slopes of Jiri Mountain in Hadong County, Gyeongsangnam-do, S. Korea. All around us were tea plants that had been planted from seed and were allowed the freedom to grow as they wanted. I was there in August, so the plants were covered in weeds and vines. In the spring they would remove the vines and pluck the bushes 3 or 4 times through to June. The view of the misty valley below was amazing with masses of tangled tea plants as far down the slopes as one could see. We could barely hear one another speak for the loud whistling of the Korean cicadas. Where do you want to go for your next tea trip? I would love to visit Northern India and Nepal during the spring harvest. Himalayan black teas are complex and satisfying and among my favourites. Tea is relatively new to these areas compared to China, but has its own culture partly leftover by the British (India), but also evolving to reflect the culture of the locals. The terroir interests me as well, since these teas cannot be replicated at lower altitudes. Where do you look when you’re in need of inspiration? Inspiration is rather elusive. Usually when I seek it out, it hides. I find that memories, daydreaming, objects, and photographs that I’ve taken on my trips all help to nudge ideas into the forefront and inspire me to pursue a topic. How did you create the many tempting recipes in your book? Toronto is a very cosmopolitan city with many diverse cultures. I was able to draw upon those in creating recipes for the book. Sometimes the flavours of the tea dictated the complementary additions of fruits and spices. I visited Chinatown and other international food markets around town for the fruits and spices. Cocktails were fun to develop as working with spirits brought a completely new element to the experience of taste blending. Morning is my favourite teatime. I like to celebrate waking from a good night’s sleep with a cup of the freshest green tea I can find in my tea chest. I usually take it immediately following breakfast. It helps if the morning is sunny, but even a gloomy day seems brighter with the taste of spring in my cup. Around 3 or 4 in the afternoon I like to put some snacks on a platter and make a pot of tea that I share with my husband. It is usually an Oolong or a black tea - there are so many choices. I choose whatever I think will pair well with the food I have on hand. It’s very casual and social. I often entertain clients in this way as well. How does your styling experience shape how you approach tea? Working as a stylist kept me in tune with the visual world. Most of the styling that I did was for television, so colour and texture were important. When I moved to red carpet styling, drama and costume were paramount along with luxurious fabrics and elegant details. That work allowed me to be creative. Tea culture is linked to the arts and to one’s creative nature and I think that all the senses come into play when tasting and appreciating tea. Drawing on history and aesthetics makes the experience richer. What’s next for you in your tea journey? While writing The Tea Book, I discovered how much I enjoy researching. It’s possible that another book will fit in to my future. I’m finding that many people are interested in tea, but are intimidated by the vast amount of information that is out there. 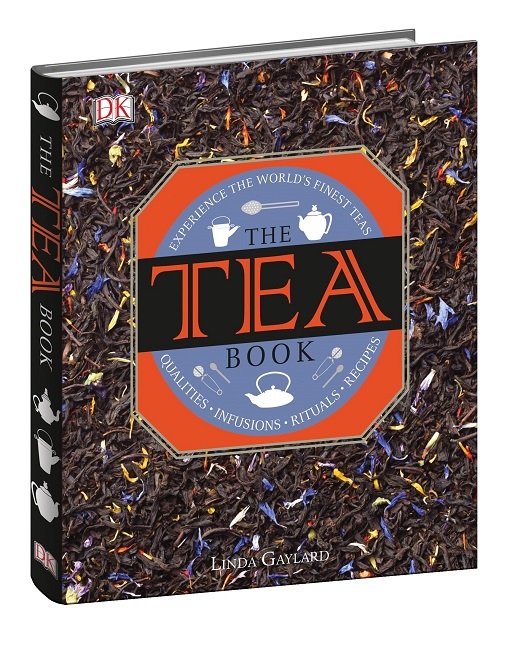 The Tea Book has helped to simplify that information for new enthusiasts. I am finishing a tea studio where I will teach special interest tea classes in the New Year. Thank you for taking the time to answer my questions so thoughtfully, Linda! I look forward to reading about upcoming tea adventures and hearing more about that tea studio!